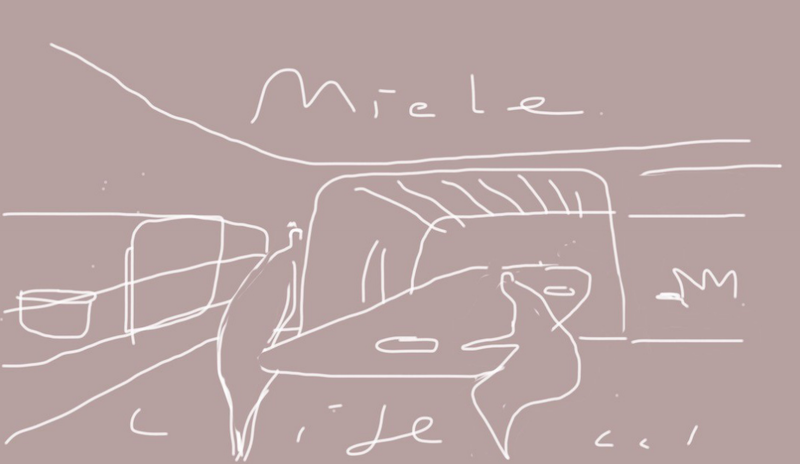 With $10,000 at stake, 10 designers from across Australia were shortlisted in the Miele Immer Besser or ‘Forever Better’ competition. Each of those shortlisted presented inventive ideas and compelling presentations, with the team at Matt Gibson A+D being selected as the winner. 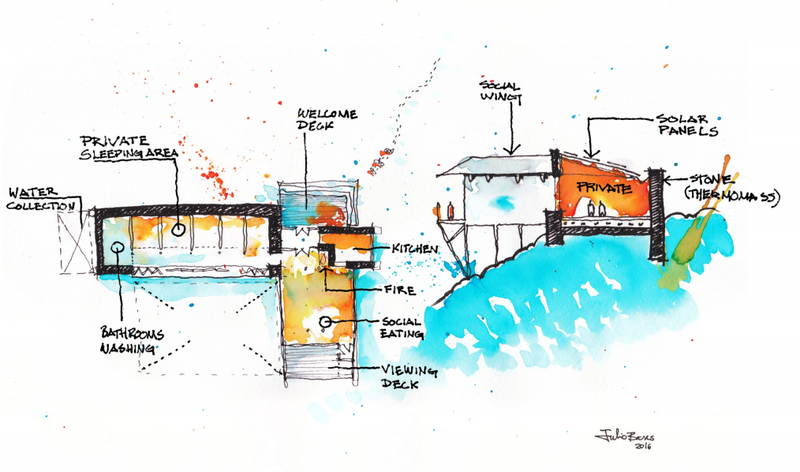 The winning entry explores what the next generation of small footprint living could look like through a design titled Prepare – Graze – Play – Refresh. The flexible apartment space includes a moveable and compact island bench that houses clever storage and stools, while being height adjustable to suit every kind of situation – from a taller kitchen bench to a lowered bench seat. The surrounding cupboards house all the amenities for cooking and cleaning including Miele ovens, grills and a washing machine. The design allows the users to move, hide and adapt the space as needed. Some key themes found across the shortlisted entries include flexibility of use, community building, and integrated and seamless designs. Overall, the standard of entries was extremely high and the judges were very impressed with the calibre and effort put in. 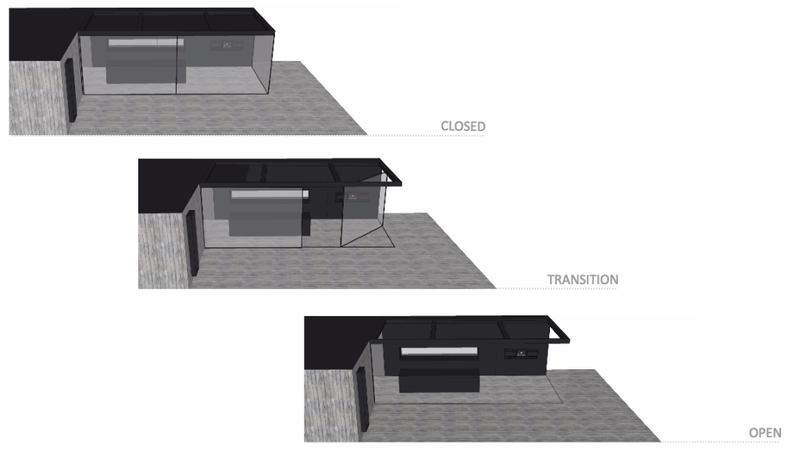 A community pavilion that brings people together and facilitates interaction, this design by Amber Road uses beautiful materials and classic design features to reinterpret the kitchen for the future. Encouraging human interaction and touch, this entry is all about quality time with those around you, while being surrounded by nature. Taking the focus off the kitchen, Asha Ardill of South Coast Colour designed a new central point for the home. 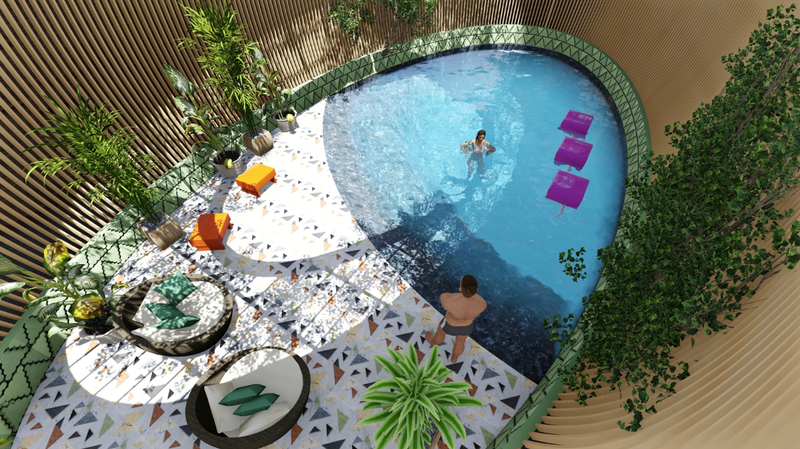 A place of relaxation and tranquillity, this encompassing space features water, plant life and Mexican-inspired detailing. 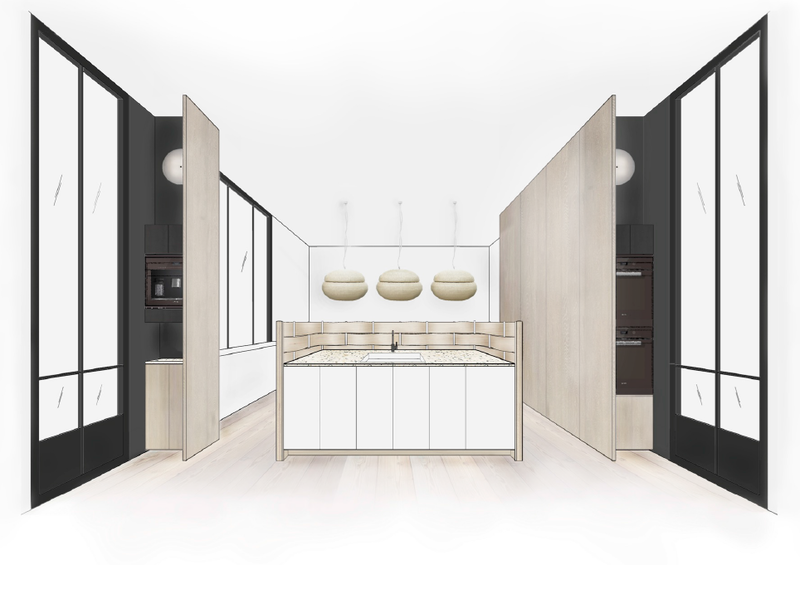 Carole Whiting’s design brings users of the kitchen into focus by positioning them towards the dining area. By flipping the orthodox positioning around, the kitchen remains the central point of the home without isolating those within it. The amenities are sparse and hidden behind the cupboards in a seamless layout. 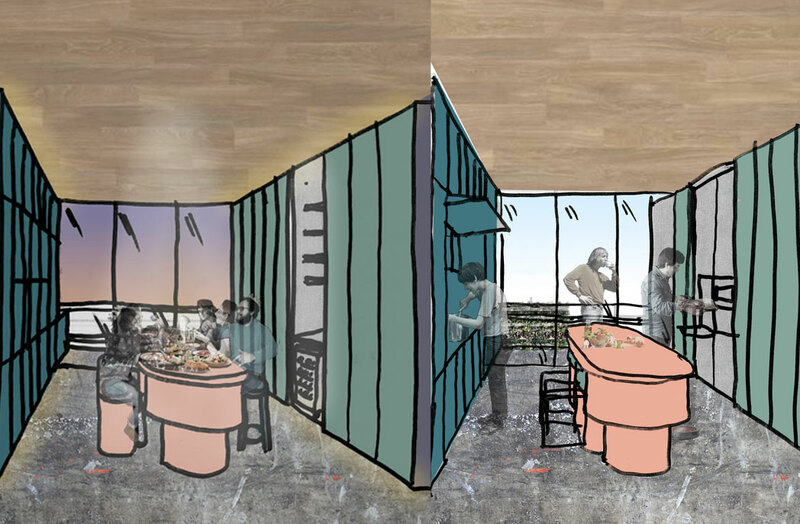 Rethinking the indoor/outdoor living so ubiquitous in Australia, the design by Chris Connell proposes a moveable and flexible kitchen that can slide both inside and outside depending on what the users need. 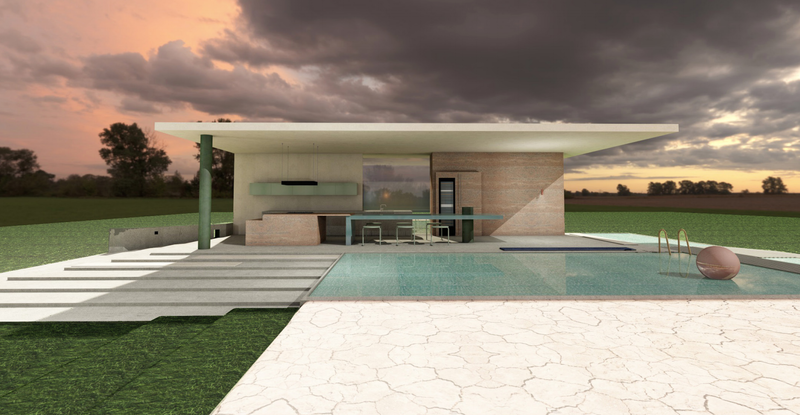 Anna Pyrzakowski of Design Club House envisages a multi-use kitchen, living and outdoor area, connected by versatile glass panels that can be opened or closed depending on how the space is to be used. Another key feature of the design is a series of ceiling skylights that run through the entire kitchen and lounge allowing for sections of the roof to be blocked or opened depending on the time of the day. 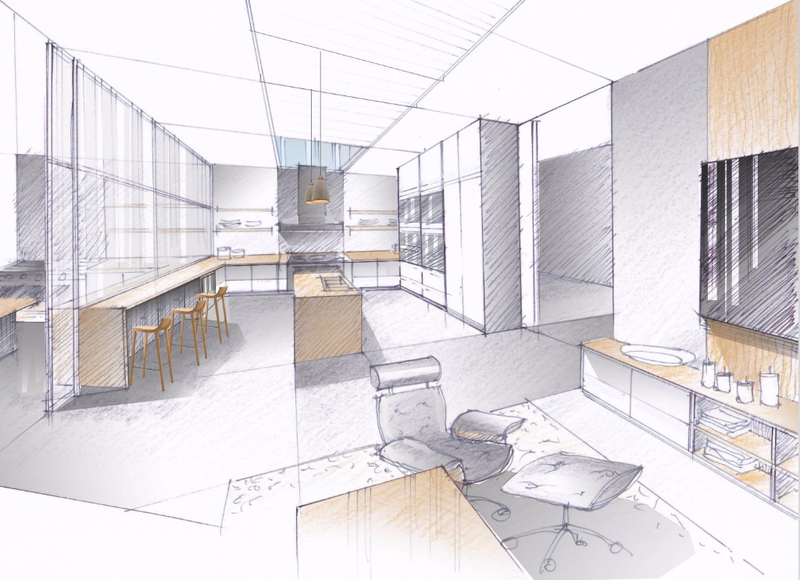 Taking technology to the next level, Latif and Haidee Vogel of Element Design Group has come up with a seamless and integrated design. 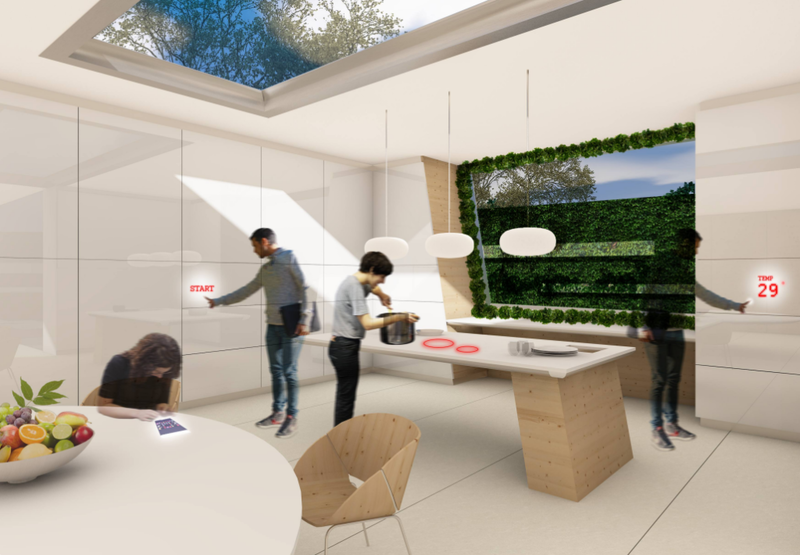 Featuring smart surfaces, clever recycling and holographic entertainment, the design considers how technology will impact the home of the future. Exploring a bushwalker’s retreat, Julio Brenes (Cox Architecture) re-designed what these cabins could be. 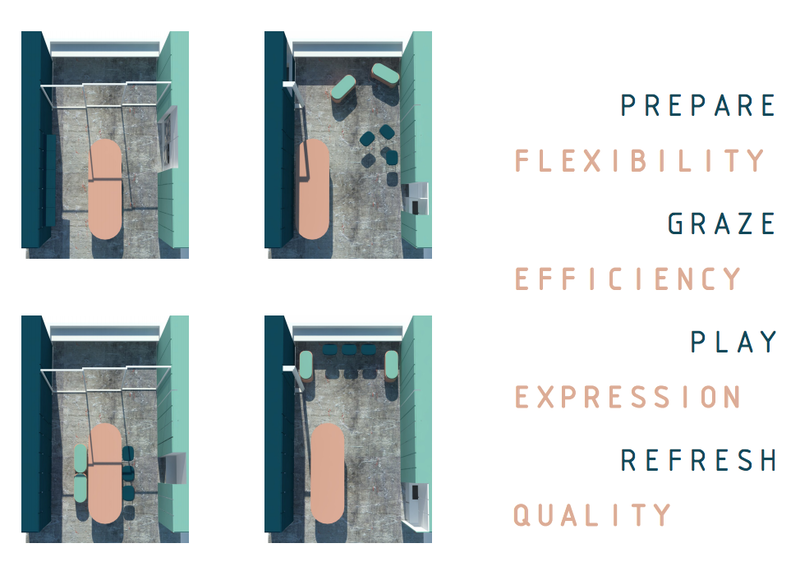 Simple, adaptable domiciles which encourage community and interaction, the design can be used in a multitude of settings. In a progressive concept for the kitchen, Ben Edwards designed a moveable kitchen bench system that slides in and out, dependent on use. 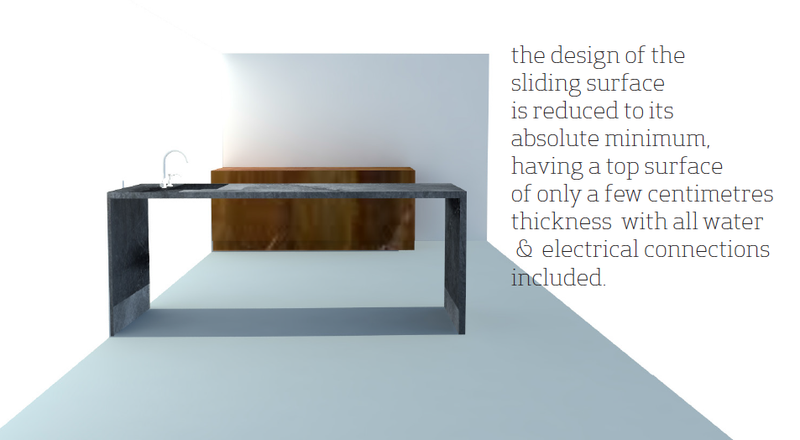 This functional utility looks at how to capitalise on space, with the bench pulling out when needed and sliding back when not in use, allowing for more space. Victoria Cybulski of Hare+Klein rethought what indoor/outdoor living could be with a moveable and flexible space that transforms depending on its use. A clean and minimalist design that takes cues from the tempered black glass design of Miele’s products, the kitchen is housed within a glass box frame which can open up when needed.